Jamie was the HR Director for Manufacturing at GM Holden, Australia’s largest car manufacturer and subsidiary of the U.S. automotive giant. After successfully leading the company through the plant’s closure in 2017, Jamie set up his own consulting company, Getgood Consulting, helping others who face similar engagement challenges. Based in Adelaide, Jamie was named the ALEA Australian Leader / Manager of the year in 2017. Jamie's play is in the book, Chapter 4 - Open & Honest Communication, and is titled “Communicating and leading a business through challenging times”. GM Holden’s story is one that movies are made about - a company faced with the challenge of closing down their plant, the challenge of having to engage their workforce ramping up to the closure, and the award-winning results they achieved. 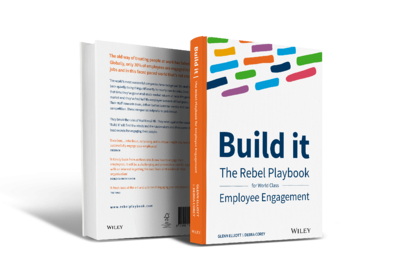 In the book we share their story, with Jamie explaining their rebellious approach to communicating and engaging with their employees leading up to the plant closure.